The Supreme Court last week imposed a penalty of Rs 5 crore on a medical college for playing fraud on it. Barring the R.K.D.F. 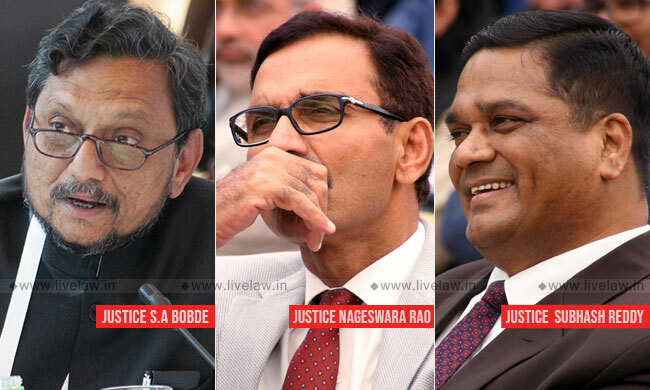 Medical College Hospital and Research Centre from making admissions for the 1st year MBBS course for the next two years, the bench comprising Justice SA Bobde, Justice L Nageswara Rao and Justice R Subhash Reddy also ordered prosecution of college Dean SS Kushwaha under Section 193 of the Indian Penal Code. The court also directed the college to pay compensation of Rs 1 lakh to each student admitted in the college for the academic year 2017-18, apart from the refund amount payable to them. The court ordered thus after it found that the college, which filed the writ petition, had manufactured records to show that they were being unnecessarily hounded by the MCI in spite of their compliance with the required standards. It also noted that the college indulged in large-scale malpractices in showing compliance of the minimum required standards to obtain permission for admission of students. Referring to the report submitted by the court-appointed committee, the bench said: "Without delving deep into the details of the Report submitted by the Committee, it is clear that the College is guilty of practicing fraud on this Court. The conduct of the College administration in indulging in manipulations and hoodwinking the authorities to project compliance of the requisite minimum standards for admission of students does not deserve to be condoned. The impunity with which the College has manufactured records to convince us that they were being unnecessarily hounded by the MCI in spite of their compliance with the required standards is deprecated. The brazen attempt by the College in taking this Court for a ride by placing on record maneuvered documents to obtain a favourable order is a clear-cut act of deceit. The justification given by the College regarding the absence of certain residents has turned out to be a concocted story. Had we not initiated an enquiry by the Committee of Experts, the fraud played by the College on this Court would not have come to light." Refusing to accept the apology tendered, the bench said: "The College has indulged in large scale malpractices in showing compliance of the minimum required standards to obtain permission for admission of students. The College further tried to mislead this Court that it is compliant in all respects, to get permission for the admission of students." The court further said: "It is trite that every litigant has to approach the Court with clean hands. A litigant who indulges in suppression of facts and misrepresentation is not entitled for any relief. The conduct of the College in this case to mislead this Court for the purpose of getting a favourable order is reprehensible and the College deserves to be dealt with suitably."